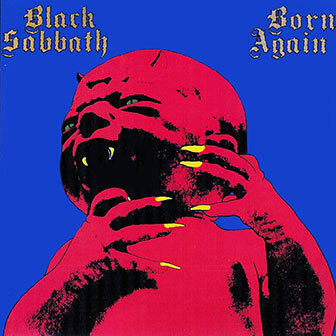 «Born Again» is BLACK SABBATH's eleventh studio album. The album features the vocals of IAN GILLAN, former singer for DEEP PURPLE, who joined the band in 1983 to replace departed vocalist RONNIE JAMES DIO. Original BLACK SABBATH drummer BILL WARD returned to the band as a replacement for VINNY APPICE, who had left with Dio to form the band Dio, but quit the band right before the 1983 tour. Aahhhh, ahhhh, ah ha ha ha haaa!